Get a wetsuit and basic equipment. Find a friend to swim with. Set yourselves a fun goal that will motivate you. Do some research and try to find places near you that offer outdoor swimming. If you also regularly travel to a place like the Lakes for holidays, perhaps research that too. Search engines and social media make this much easier for you, just Google “open water swimming near me” and you should get some good suggestions. Try Triathlon clubs too as they usually run outdoor swimming sessions throughout the season. 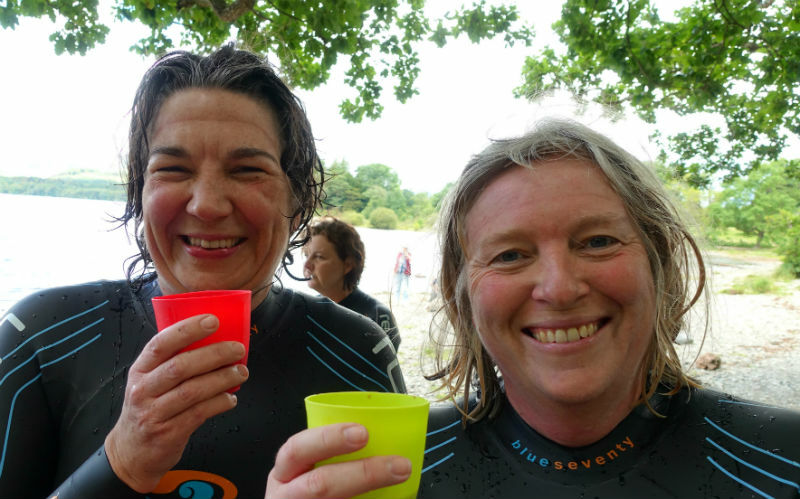 Facebook is an excellent resource and swimmers have really embraced it as a way of organising their swimming and it’s the perfect place to find out how to get into open water swimming. Our favourite Facebook groups are “Lake District Open Water Swimmers” and the “Outdoor Swimming Society”. Don’t be shy, swimmers love to help. Book on a course or swim with an experienced swimmer. This will make your mission to get into open water swimming a lot easier. What you will learn in good company will quickly give you the confidence to do your own thing and do it safely. 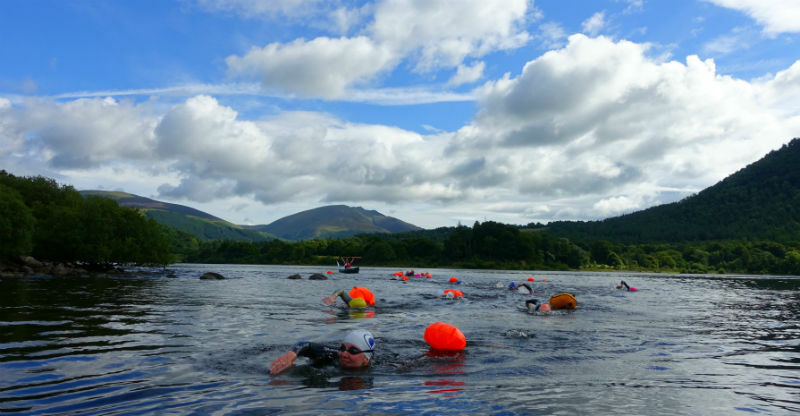 Come along on the Swim the Lakes Introduction to Open Water Swimming Course, it’s professional, fun and gets great reviews, plus we’d love to show you our lovely Lake District swimming places. The only other items you will need to get started are a bright silicone swimming cap and a good pair of goggles that you find comfortable; your pool goggles will be fine to begin with. If you intend to swim in busy waters or are swimming in small groups, then a swimmers tow-float is a sensible addition to your kit list and will make you much more visible in the water. Don’t like the cold, then take a look at this article: Cold Water Swimming Accessories. It’s far more fun to swim with a friend, and safer too. You are more likely to get out there and do it if someone else is expecting you to be there. You can share your experiences, watch out for each other, keep each other motivated on the colder days and argue over who’s turn it is the bring the tea and cake. If you have to travel to get to your swimming, it’s quite nice to have someone to car share with too. If you can’t badger someone else into swimming with you, resort to Facebook again. There is bound be someone in a similar position to you who is a member of a swimming group who is looking for someone to swim with. If you’ve decided to get into open water swimming to complete a specific event or race then you will have a clear goal, but not everyone likes this approach. However, your goal need not be a competitive one: Book yourself on a swimming holiday, aim to swim a remote tarn together, plan a night swim during the summer with candles and kids or just swim out to an island. 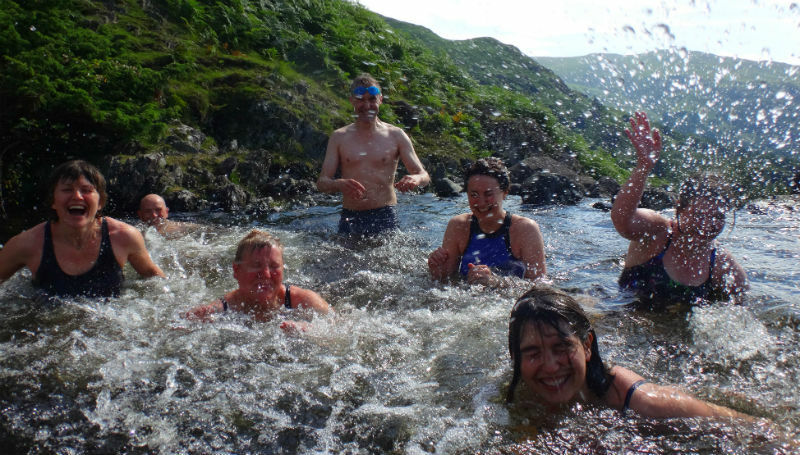 You could of course join Swim the Lakes on one of our easier, friendly guided wild swims or courses, just follow the links below for more information. 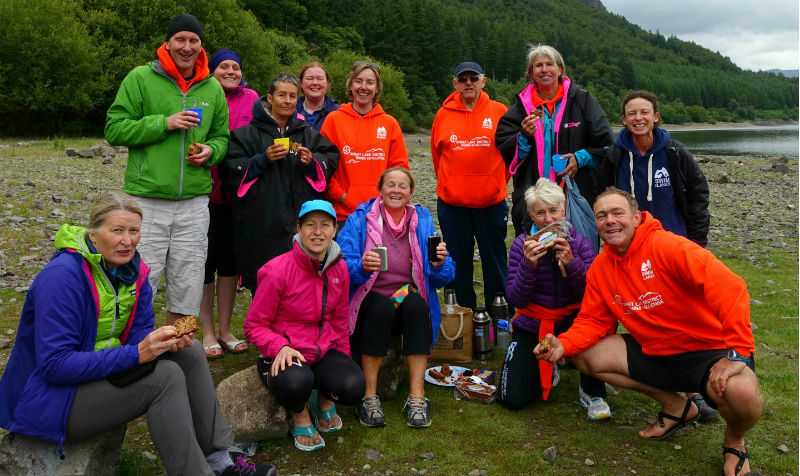 We also run an informal swim group session in Rydal Water during the season on a Tuesday evening, all welcome. The Swim the Lakes Team.